Sling TV is offering antenna installations. You can set up a Sling TV antenna installation by calling 1-888-364-6055. NOTE: You do not have to be a SLING customer to use their service. Hi,I have tried sling install,after seeing the article on cord cutters.I was told sling only installs on side of home. Installersaid would not get signal on his equipment, very little effort to even try. Told me to contact antenna company. We needed to be on a pole and be over roof line in my case to get signals from Orlando, 60 miles away. So they would have been a good choice if it would be a clear shot to tower and a side of home mount, and closer to city. Jim, thanks for the additional feedback. I am only 20 miles from the Orlando towers which are near Bithlo. I am also 11 miles from the WESH UHF transmitter in Deland. 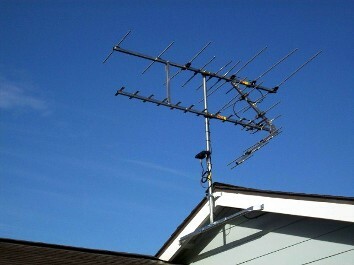 In my case I get all the channels with a side of house mount. I’m in McClure, so quite a ways south of you. However, I see you get about the same results when checking for availability of channels. Will need to look into this when I get a chance. I’ve installed the HD Stacker in my son’s attic. It was not too bad to assemble in the attic and is providing good performance from 40 miles (through a traditional shingle roof) in the Dallas market where one of the networks is broadcasting on VHF. @StuTomato Thanks for the feedback. You already have one great local antenna lead. If that doesn’t pan out, consider asking your local Amateur Radio club (HAMs). Many members know RF inside and out, antennas, grounding, & mounting are essential for good performance and not destroying your own equipment. You also have weather, (wind & lightning at least) considerations. It is a community that loves to share. Be sure to ask your installer about grounding the mast, grounding the antenna, and bonding to the residential electrical ground. You want the antenna system and the household electrical system to be at the same electrical potential, otherwise the set top box becomes the path for current. People get shocked that way.